We have some great news for all concerned about their health. 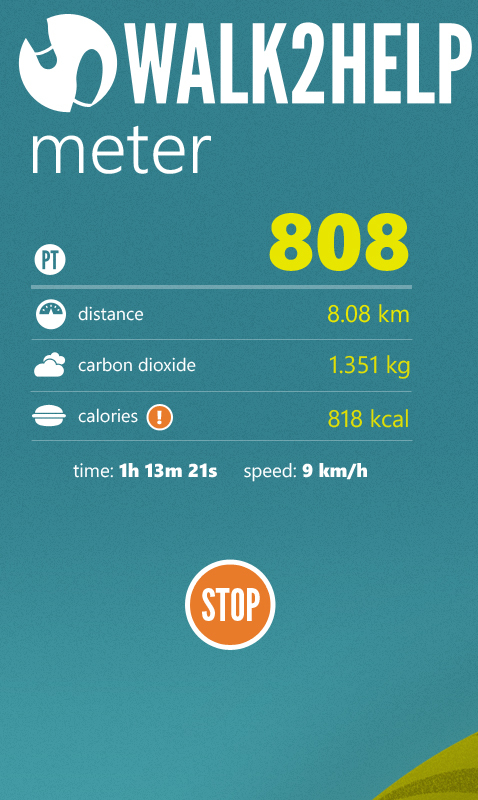 Walk2Help now shows you how many calories you burn while walking. For every kilometer walked, you burn about 80 calories. This can differ depending on your weight and speed, so it’s important to set your actual weight in the settings to get an accurate calculation. The feature is available in the latest updates for Android, iPhone and Windows Phone.